See scan - perfect condition. This is a nice and rare Romanian / Rumanian Royal 40 years of reign Kings / Royalty Carol I jubilee medal. 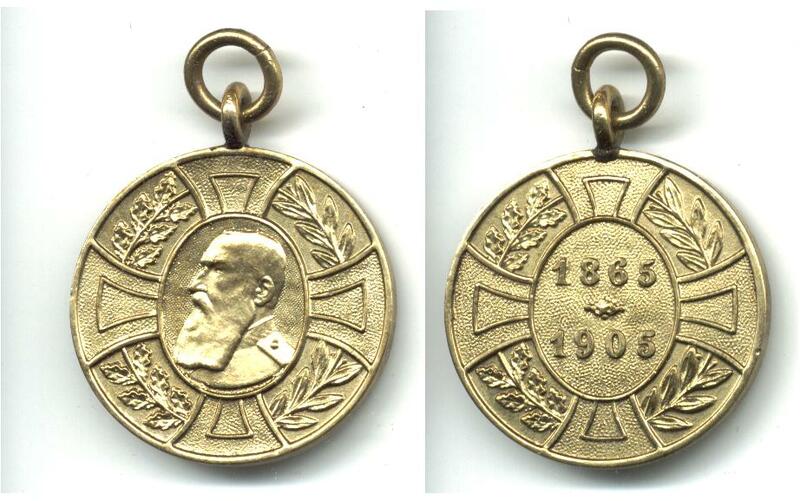 Front shows the bust portrait of the King placed in the center of a cross and wreath around it and reverse is the same type of cross and wreath and dates 1865 - 1905 at center. Nice militaria / military collector piece and one of the rare Romanian medals.